cPanel's installation by default installs and enable mod_autoindex. 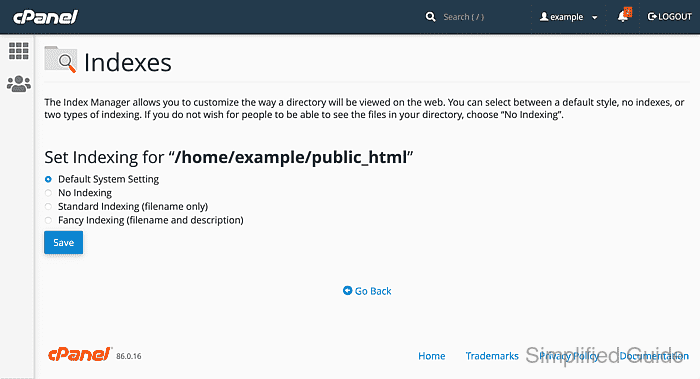 Apache will display the list of files and folders of the directory whenever DirectoryIndex files are not present. 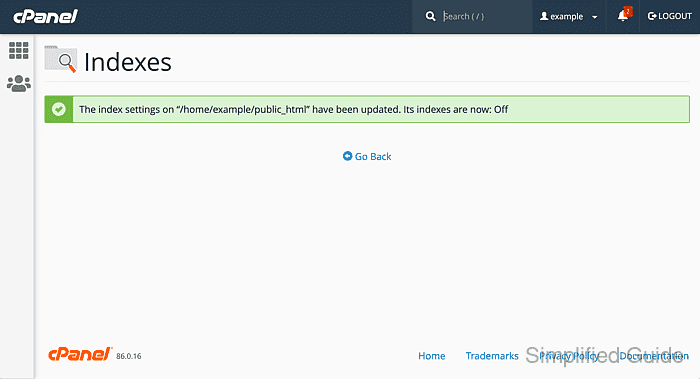 Go to Advanced section and click on Indexes. 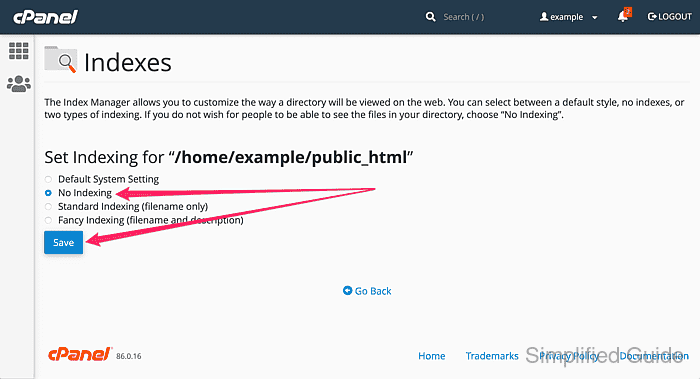 Select the web directory that you want to disable directory listing on. This is normally www or public_html. Select No indexing from the option and click on the Save button. 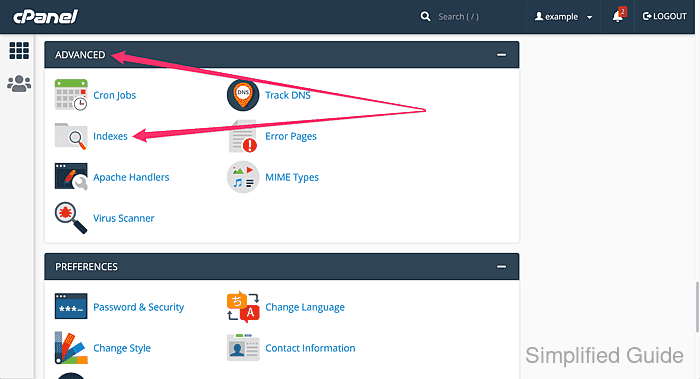 What happens in the background is cPanel will append the following line to the folder's .htaccess file to disable directory listing. New .htaccess file will be created if it doesn't already exist. 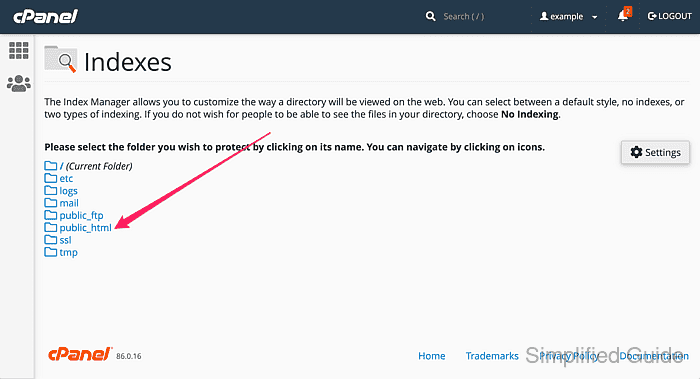 Go back to the directory list and notice the icon on directories with directory listing disabled.